Now that we’re officially heading into the cooler months of the year, it’s time to think about changing out your home’s décor to welcome in the change of seasons. 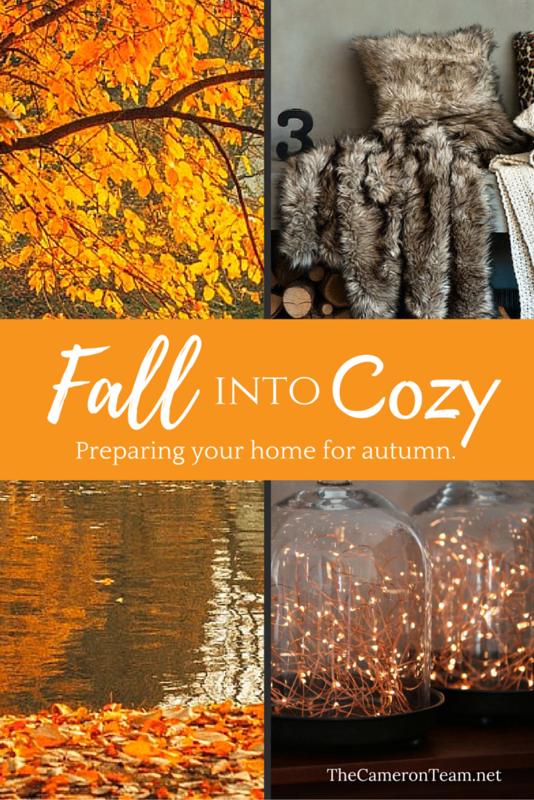 Fall or autumn is the perfect time to usher in all the scents and accessories that make your home feel cozy and warm in order to make your home more inviting for yourself, family, and friends. This is one of our favorite times of the year to write about, because it means a break from the hot weather in our Coastal area. 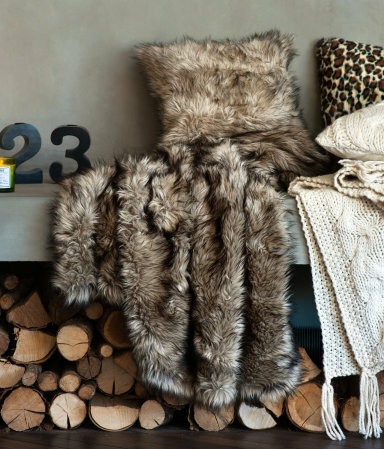 So, we wanted to share some of our tips for “fall”-ing into cozy. Create the perfect lounging area by changing out your current living room pillows with nice plump ones in the colors of fall. They’ll add a beautiful touch of color and help set the mood for the room. If your current interior design doesn’t blend well with fall colors, a common issue for those of us who live on the coast, check out Blue I Style for some non-traditional fall color palettes. 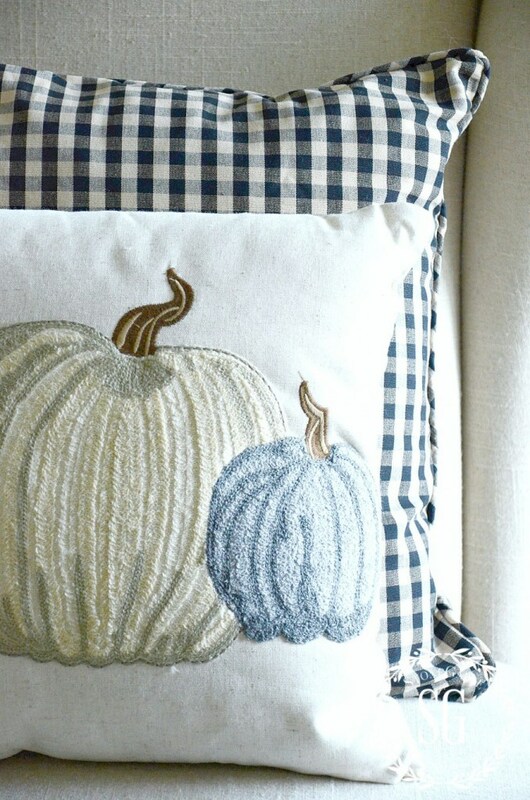 Stone Gable Blog has a wonderful round-up of fall pillows that shows that they don’t need to be the traditional oranges and browns. As temperatures drop, it becomes harder to shake that cold feeling. 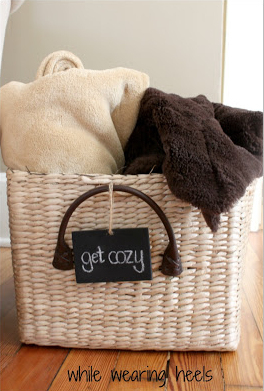 Make your home inviting by leaving out a basket of fleece, knit, or crocheted blankets. Friends and family will appreciate the thoughtfulness. Plus, what’s better than a nap on a blustery fall day? Here’s one put together by Amy at While Wearing Heels. Hardwood and tile flooring can feel extra cool during the fall and winter. Laying down some rugs where your family members like to congregate most often in just their socks is a good way to cozy up the home. We suggest sticking to the plusher variety and avoiding the natural jute rugs that are more fitting for the spring and summer. This one from the Affinity Home Collection is just one example. Changing the colors of your home décor is a pretty obvious step in updating for fall, but don’t forget a change in textures can be fun too. Fluffy fabric is a great choice for making your home feel cozy. Incorporate it in pillows, blankets, rugs, chairs, and even wall art. We just recommend you don’t place it anywhere where dirt will be tracked or blown in. It can be hard to keep clean. This example is from Inspired Wives. Check out their blog for fall-inspired ideas specifically for the bedroom. This is the time of the year for good conversation over hot drinks – Pumpkin Spice, black tea, rich coffee, and hot chocolate. So, why not celebrate it by decorating with mugs? Include a canister of some of your favorite flavors to make it easy for visitors to choose. 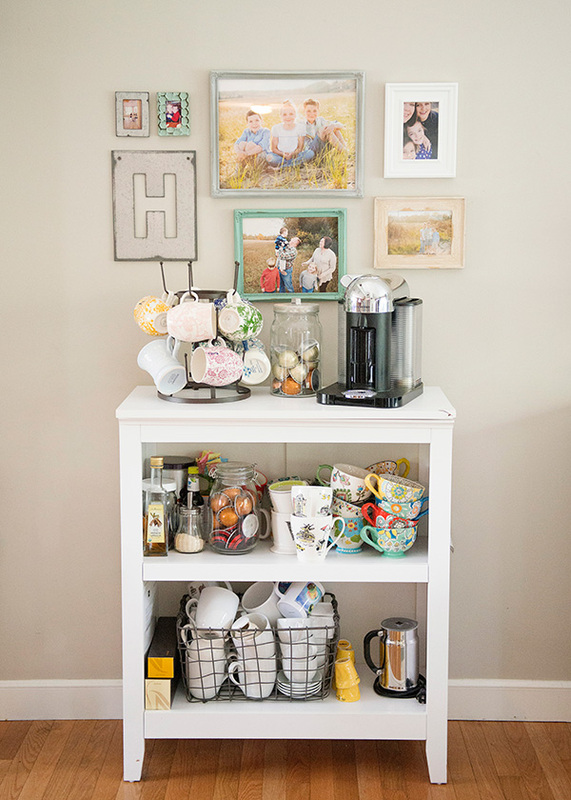 For inspiration, here is Baked Bree’s coffee station. See how she put it together on her blog. Windows are a common source for heating issues during the fall and winter. Help keep your windows insulated by changing out thin curtains with thicker versions. They’ll block cold air from seeping in and warm air from sneaking out. These blackout curtains from Designing Solutions (shared on Home Design etc.) are a good example of how thick curtains can cozy up a room. When updating the décor in your home, don’t forget to appeal to all of the senses, including scent. 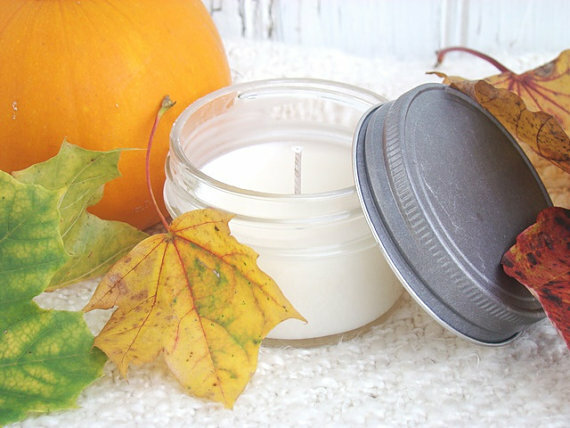 Put out some soy candles, potpourri, or essential oils in fall scents – apples and cinnamon, vanilla, pumpkin spice, caramel, clove, cranberry, sandalwood, etc. Stovetop mulling spices are also a good option for creating a cozy atmosphere. The candle pictured here is called Hayride (new mown hay with notes of sweet Balsam combined with Cedarwood) and is sold by Brandywine Candle Co. on Etsy. Curling up next to a fireplace with the lights down low is the epitome of cozy, but not everyone has the luxury of a fireplace. Instead, try incorporating small warm white LEDs into your decorating. They may not have the crackling warmth of a fire, but they’ll create the same ambiance that’s nice on a cool fall night. 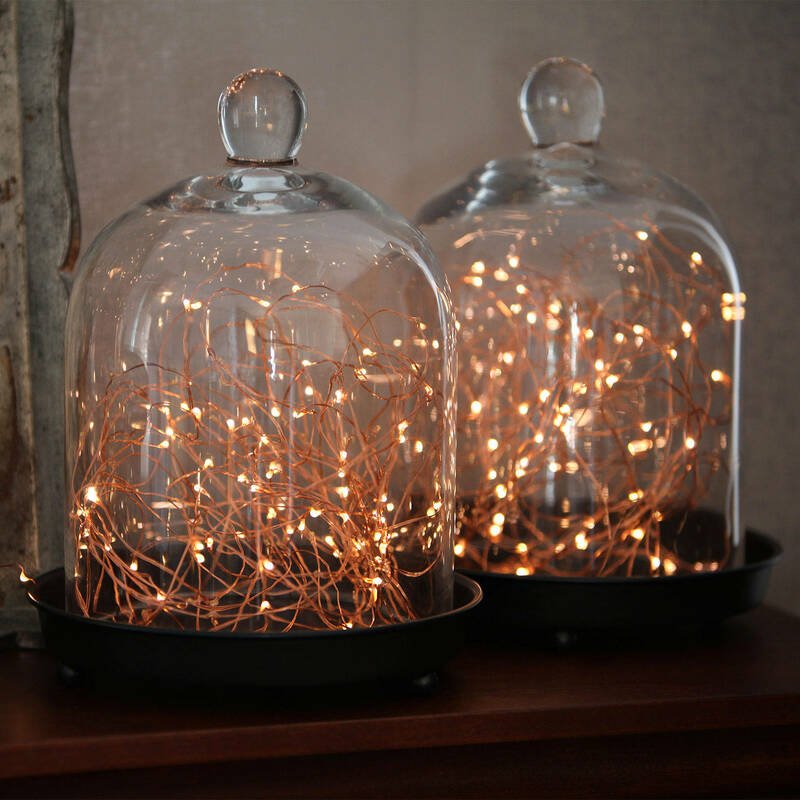 Consider mixing lighted branches with some real ones or using these LED copper wire string lights. With the harvest of pumpkins, gourds, and corn so common in the United States, this is a wonderful opportunity to bring the outdoors in to provide some warm and cheery décor. While these are easy to purchase at your local grocery store or farmers market, also try fall leaves, sticks, kernels, dried peas, lentils, pinecones, and evergreens for low-cost decorating DIY projects. 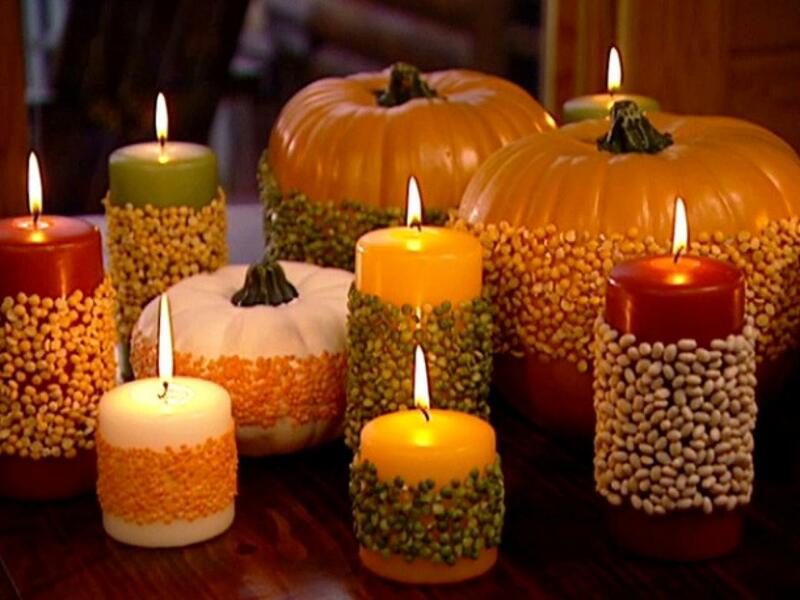 HGTV shared a great DIY for making lentil candles. Need some more ideas? 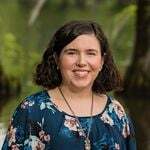 Check out this blog post from The Krazy Coupon Lady and this one from My Life and Kids. Love to read, nap, or get caught up with the news on your tablet? Create a special place in a corner of your home where you can curl up with a blanket, pillow, and hot beverage. This can be on a lounger, in a big stuffed chair, or on a window seat. Whatever you choose, the sheltered space will feel much cozier than an open living room. 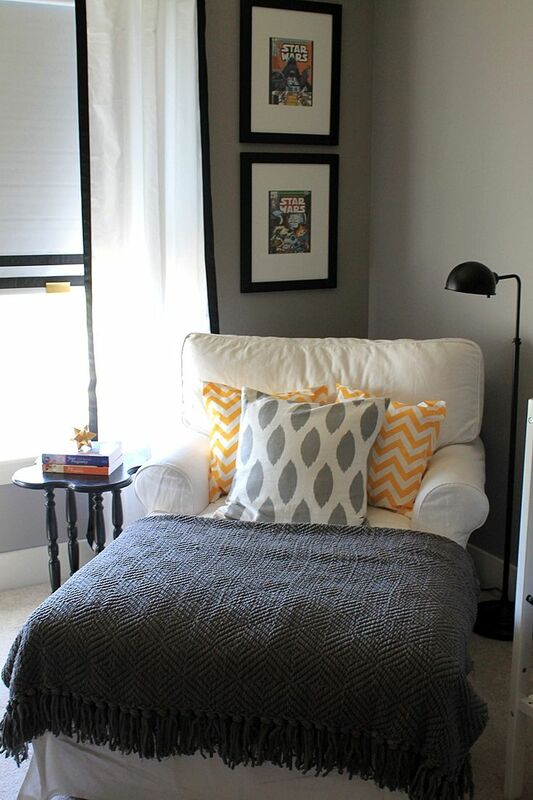 See more relaxing reading corners just like this one on Home DIT. However you choose to cozy up your home for fall, make sure you make it as personal and unique as you. Don’t be afraid to think outside the box. That’s the fun part of decorating your home. Do you have a good tip for “fall”-ing into cozy? Share it in the comments!